Photo of: North of Ireland: Antrim: Giant's Causeway. 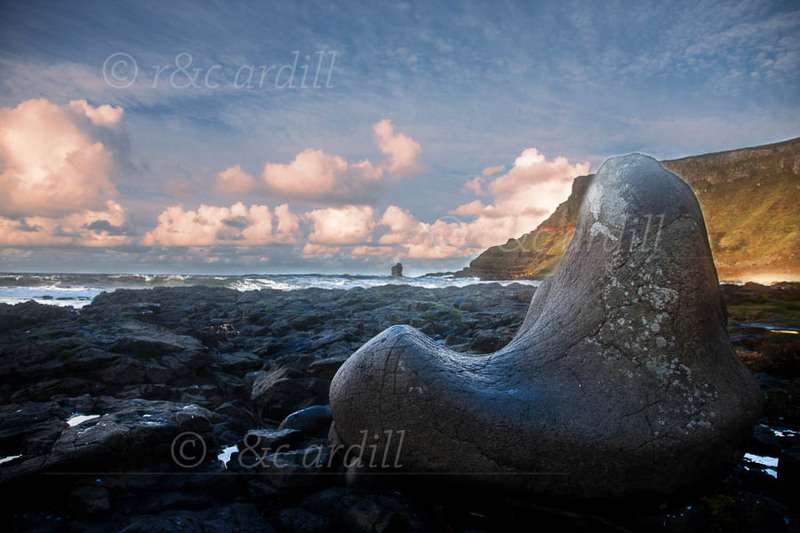 This is a photograph of the extraordinary Giant's Chair - or Giant's Boot as it is sometimes called - at the Giant's Causeway. The Giant's Causeway is Ireland's only World Heritage site. It has one of the most remarkable rock formations, made up of 37,000 hexagonal shaped columns standing beneath the cliffs of northern Antrim. It was told that the Giant's Chair was made for the giant, Finn MacCool, when he was a child. As the legend says, all wishes made by anyone at the Wishing Chair will come true.